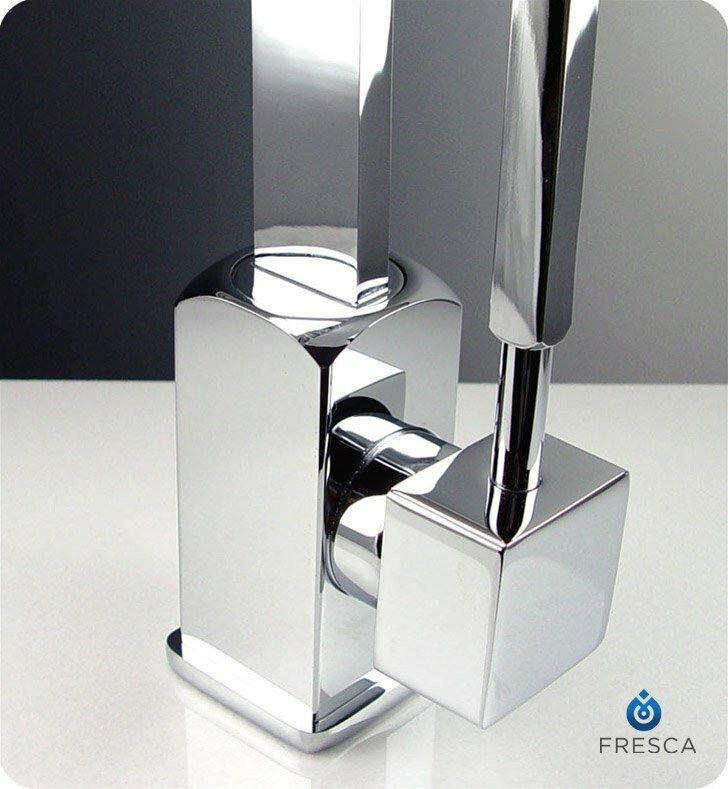 Elegance and practicality combine in the FFT1032CH Fresca Liris Chrome Vanity/Bathroom Faucet. 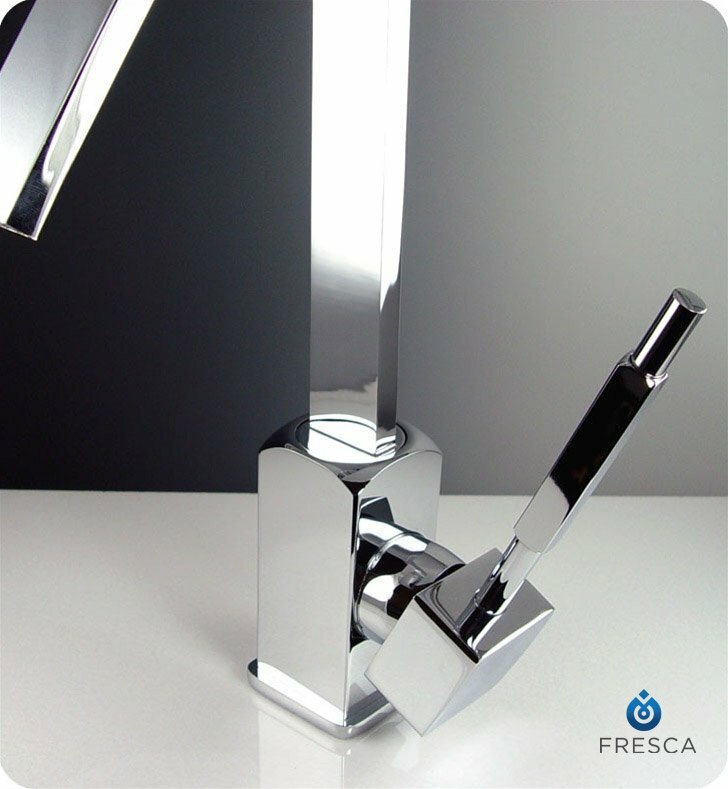 Constructed of 100 percent brass for durability, this sleek faucet features a triple chrome finish that resists spots and rust. 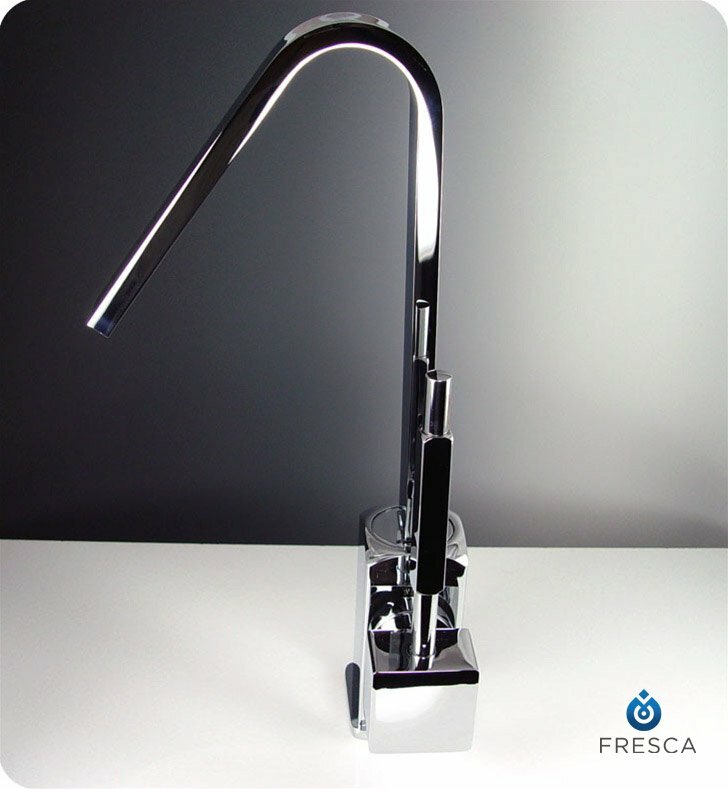 Measuring W 3 1/2" x D 5" x H 11" with a 4 1/2"-inch spout reach, the widespread bathroom faucet has a ceramic disc valve that ensures a watertight seal. 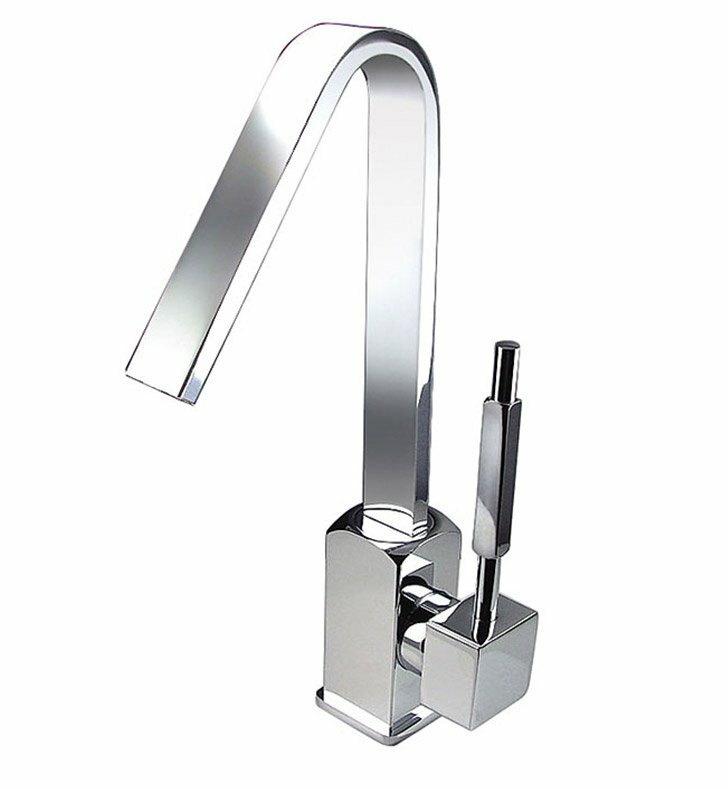 Dimensions: W 3 1/2" x D 5" x H 11"